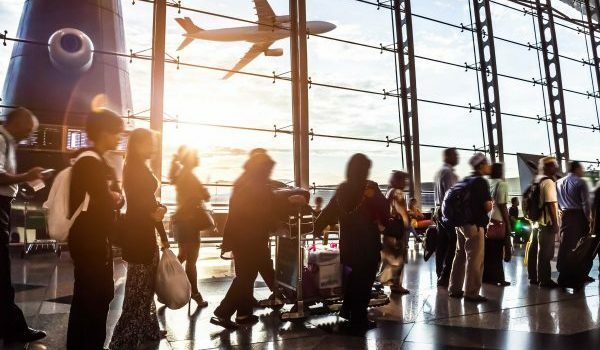 Alongside “smart cities” and “transit-oriented development,” the term “mobility hubs” is joining the buzzy phrases making their mark on sustainable urban planning. Mobility hubs are a cornerstone concept for shared mobility transit, which the Shared Use Mobility Center (SUMC) defines as “transportation services and resources that are shared among users, either concurrently or one after another.” In other words, shared mobility is the integration of traditional shared transit like buses and trains with newer forms like car share, bike share and ride hailing services. Mobility hubs are meant to be a physical space where these different modes of transit can intersect. Last year, Minneapolis and St. Paul were each awarded funding from the Bloomberg American Cities Climate Challenge to implement mobility hubs locally. While the plans remain in drafting stages, early comments suggest that more than 70 mobility hubs will be designated within 35 square miles of the metro area. Minneapolis Sustainability Coordinator Kim Havey framed mobility hubs as one solution to the so-called first-mile/last-mile problem. As Havey explained, many people decide what types of transit to use based on the options presented in the first or last mile of a trip. By making alternative modes more convenient in this first or last mile, the idea is that mobility hubs will incentivize drivers to leave their cars at home. Details of what these mobility hubs would actually look like are still emerging. Havey imagines them as a kind of “public space-plus” with many amenities wrapped into one, including green space, bathrooms, electric vehicle charging stations and public art. These spaces would be accompanied by a new multi-modal transit app, providing a single technological platform to integrate transit information and synchronize payment structures. 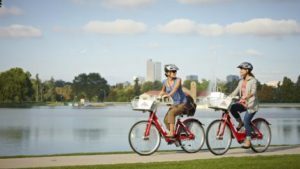 These hubs are being championed locally though the Twin Cities Shared Mobility Collaborative, a working group of community and political leaders that is supported through SUMC, a public-interest nonprofit with offices in Chicago and Los Angeles. This working group was convened as a vehicle for implementing the Twin Cities Shared Mobility Action Plan, also a product of SUMC and funded by the McKnight Foundation. As local mobility hub proponents argue, redesigning the transit system around shared mobility serves two basic and urgent needs. First, as the Twin Cities continue to experience rapid population growth and worsening congestion, mobility hubs will target a pervasive reliance on single-occupancy vehicles. Second, they will incentivize greener transit alternatives and reduce carbon emissions. Diverting cars from the road appears all the more significant since the release of The Air We Breathe 2019, a biannual report from the Minnesota Pollution Control Agency that is mandated by the state Legislature. The MPCA found that as of 2019 transportation accounted for the largest amount of statewide carbon emissions. This finding prompted several presentations during a Valentine’s Day hearing of the House Transit Finance and Policy Committee, which was convened to discuss the relationship between transportation and climate change in Minnesota. Alex Burns, chair of the Sierra Club’s local Land Use and Transportation Committee, sees this report as an important call for reimagining the role of transit for healthy climate futures. But there are concerns that shared mobility solutions like mobility hubs don’t just act as a placeholder for public transit; they may actually re-enforce nonpublic models. Dependence on private ride hailing companies like Lyft and Uber is a particular concern. 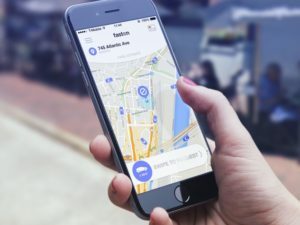 While these transit modes provide key linkages for people to get from one place to the next, the reliance on private ride hailing can become a self-fulfilling prophecy. On the other hand, a recently published study in the Journal of Urban Economics suggests that Uber’s presence in cities actually increases public transit ridership by providing connections to destinations inaccessible by public routes — the precise results that mobility hubs are striving for. And yet mobility hubs are actually rooted in a fairly incremental premise: There are many different ways that people get around and many different reasons (convenience, price, ability, safety) for choosing between them. Whether or not this means transit revolution remains to be seen. The post A new geography of sustainable transit appeared first on Shared Mobility.